Crafting a cover letter for the nursing job is no child’s play. You simply cannot pick out a readymade template off the internet and copy it. Your cover letter must be personalized, unique, appealing, and well-crafted amongst other things. Don’t begin writing straight away, you first need to plan out its structure and conceptualize it. For starters, you need to consider the purpose and your angle. Are you sending the letter as a response to a job advertisement? Or will you be forwarding it to a professional who’d further pass it on to the interview panel? Your angle dictates the frame of the letter; you’ll need to include small but significant details according to it for better impact. Listed below are some of the additional details that you must provide along with your personal and contact details. For Advertisements: include the reference to the advertisement, your job ID, and job title. 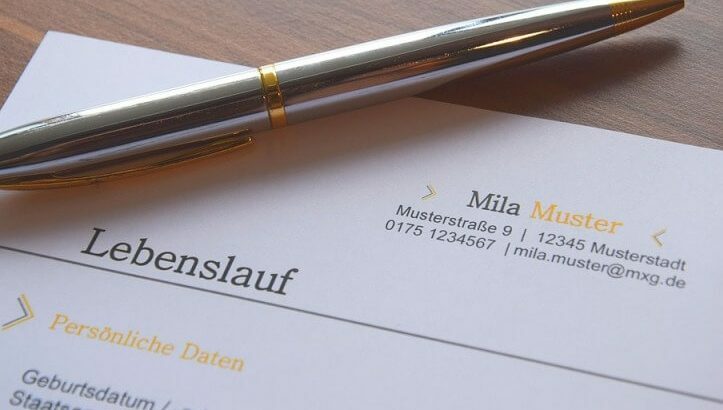 For Professional Contacts: include the name and other details of the contact, your relationship with him/her and also a second contact reference if possible. For General Enquiries: be very specific about the position you wish to apply for, include all your personal details, qualifications and skills as well. Adhere to the proper format of a cover letter. It must have an introduction, a middle paragraph, and a conclusion. Look out for any spelling errors and grammatical mistakes. Best run your letter through a spell and grammar checker before you submit it in. Make sure that the information you provide in the cover letter coincides with the information you provide in your resume and nursing job application. Optimize your cover letter using an ATS or applicant tracking system software that checks the readability of your application. A cover letter is an introductory document that attracts prospective employers and highlights your resume and qualifications. Cover letters are pretty subjective- a fresher cannot have the same type of letter as an experienced candidate. Here are some nurse practitioner cover letter templates catering to the need of all applicants who want to apply for a nursing job. A new nurse or entry-level nurse cover letter is ideal for the newly graduate applicant. Include a detailed account of your academic degree; include the internships, programs, and projects you were a part of as well. I am writing to you regarding my application for the nursing position advertised on (insert website name). I wish to apply for the position of a licensed practical nurse at the (insert organization name). I have graduated from ABC College with a degree in nursing and have all the skills required for the position. My coursework at ABC covers all the basic and professional clinical experience, including a summer internship. I believe I have all the qualities expected out of a good nurse, I am dedicated, hardworking, honest and passionate about fulfilling all the responsibilities assigned to me. I have cleared my state level entrance exam with a (mention your score) and wanted to apply for the LPN position in your institution. I have assisted a few doctors in the past and have the required technical knowledge and clinical skills for the job. I have decent communication skills and specialize in women healthcare services. I am a very calm collected person and would do anything and everything possible to ensure a steady and fast recovery of the patients assigned to me. I hope you consider my application and find my skills matching your requirements. Please feel free to contact me either via phone or email if you want to schedule an interview at a time that would be convenient for the both of us. Thank you for reviewing my application, I hope to hear from you soon. The nurse practitioner cover letter template is ideal for candidates who have some prior experience in the nursing field. Here, you have to mention your previous employer, the workplace, your entire experience as well along with your academic qualifications and clinical skills. I am pleased to present my application for the position of the licensed practical nurse at your organization, the (mention the name of the hospital). I was previously working in the ABC hospital as a senior RN for over a year and have enough experience in the nursing field. I also hold a master’s degree in healthcare from the (mention name of the university) and have been a part of several programs and projects pertaining to women healthcare. I am extremely organized and can multitask efficiently. Also well-versed in managing labs, cleaning, stocking and maintaining equipment. Very proficient in maintaining reports, tracking recovery status, performing various tests etc. Can assist doctors and physicians in surgeries such as angioplasty, colposcopy, EMG, and cautery examinations. I am extremely passionate in my field of study and am willing to everything it takes to prove my mettle including having to work night shifts. I am very friendly, calm and compassionate person who can gel well with the patients, their families and my colleagues alike. I am hoping to continue with this discussion in a direct interview. Please feel free to call or email me to set a convenient time and date when we can meet. I hope you acknowledge my application and consider it. Thank you for reviewing my application. The cold call nursing cover letter template is for all those candidates who have an experience working in a nursing facility but want to join a mainstream healthcare organization. The applicant has the necessary certifications and degrees required for the position. I am a licensed practical nurse currently working in the state of (mention your workplace) for over 4 years now and specialize in elderly health care services. I hold an associate’s degree in nursing from ABC College and hold a diploma certificate in basic life support. I am an extremely hardworking, diligent and passionate person and can interact and work with people from all age groups. My previous work experience at the (mention name of nursing facility) has been quite enriching. My previous job included assisting doctors, performing basic tests, collecting specimens, cleaning, and organizing lab apparatus and interacting with the patients and their families. I am well-versed in the modern technologies and developments in the medical field and can work well with electronic tracking devices, maintaining reports, analyzing vitals on machines among other things. I have assisted many doctors and prestigious professionals in my previous workplace in surgeries, examinations, and check-ups. I hope you review my application and consider it worthy enough for your hospital. Please don’t hesitate to call me (mention phone number) or email me at (mention email id) and set a date convenient for the both of us to meet. Thank you. Your cover letter is more than simply an introductory document. If drafted in an organized and appealing way it can also set you apart from the other candidates applying for the position. A well-written cover letter can establish a powerful impression and solidify your chances of bagging the job.